One of the most expensive bills each month is the cable bill. Losing the cable bill can save you upwards of $1,500 a year. What the cable companies don’t want you to know is that by installing an over the air TV antenna you can get free hi-definition channels right in your living room. The process is very basic. All of the newer televisions have what they call a digital tuner built right into the TV. This allows you to plug in an over the air TV antenna and you can start watching free TV. You get all the major stations like ABC, NBC, CBS, PBS, CW just to name a few. Looking For a Digital Aerial Antenna in The UK? Click Here for Our How to Guide. How Does an Over The Air Antenna Work? Connect to ‘ANT IN’ on the back of any digital-ready TV. Place the Antenna– Place on wall, window, attic or roof and find the optimal position for the antenna. Scan Channels – Select ‘Menu’ then ‘Channel Search‘ and you are ready to enjoy your free TV shows. TV Station Locator Tool – Use our website tool for finding channels, maps and antennas for your area. Just enter your zip code for results. 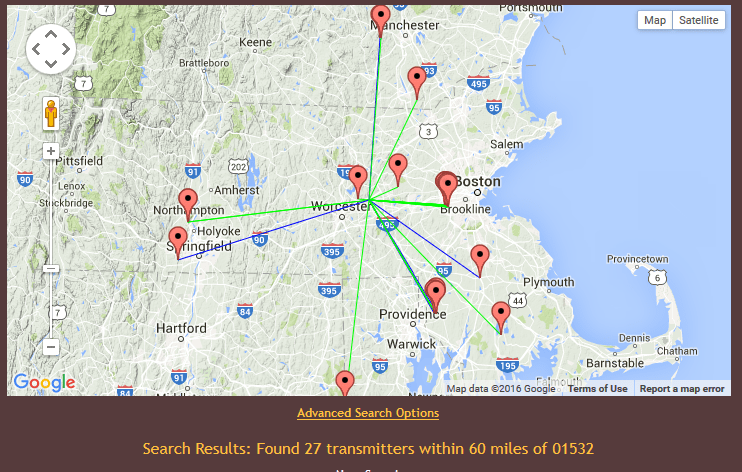 Mohu Antenna Selector – Enter a zip code and will generate antenna list and stations. Antennas Direct Antenna Selector – Gives you a channel list and range results for your location. Tvfool – Gives you options on what size antenna you need and channels you will receive. Channel Master – Nice antenna selection guide. Giving you the distance and location of broadcast towers. These apps for your phone can help point your OTA antenna. They can be useful and accurate when you are in the attic or on the roof trying to adjust your antenna. Just use one of these apps to point your antenna in the right direction. For most of these sites, you enter your street address and zip code. It will then generate a map and a list of channels that you will be able to receive. It will also tell you what style antenna you will need and which way to point it. These sites will also tell you the distance the broadcast towers are from your house. This will give you an idea of the mile range antenna you will need to pick up the stations. As you can see in the picture below there are quite a few channels available for the area I entered. The chart is color coded and tells you what type of antenna you will need to receive the signal. This shows the available channels in the area I entered. 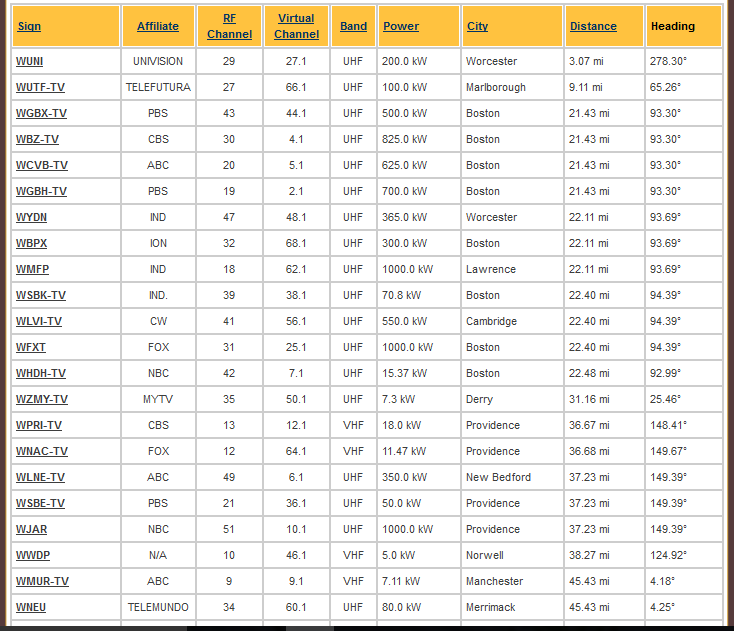 You can see a map and channel list for yourself by using our station locator tool. There are many companies that make over the air antennas. We will show you what we consider the best of the field. 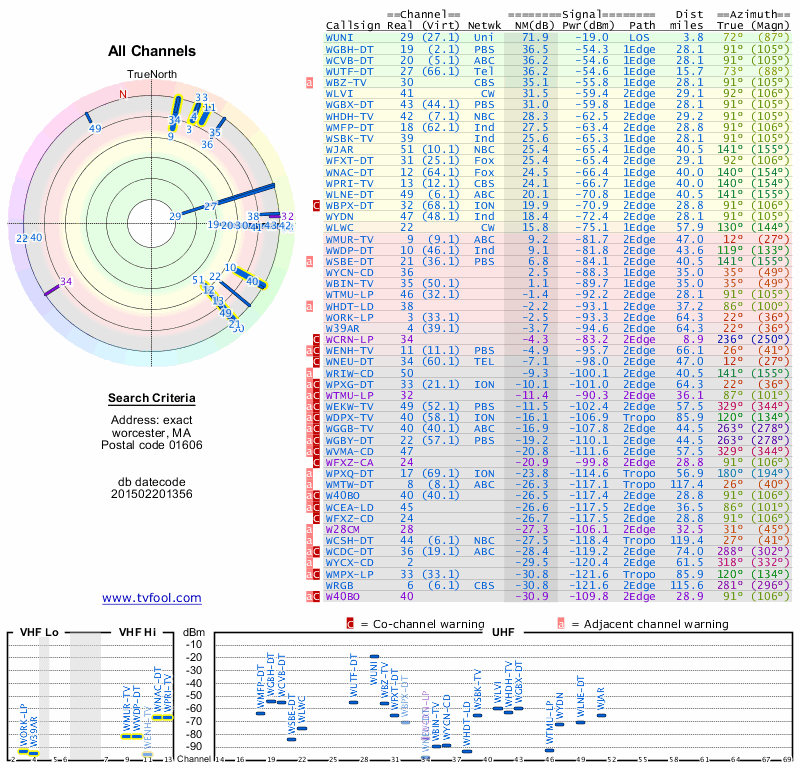 We will list these HD antennas by the color code system we showed in the previous graph. For most people that live within there city limits, a yellow (60 miles) range should work well. A general rule of thumb is the higher you place the antenna the better the reception. The Mohu Leaf 30 Indoor HDTV Antenna is one of the best interior digital TV antennae on the market today. It’s Omnidirectional flat design and weight makes it very versatile. Its simple square design makes adjusting unnecessary. Assembly is as easy as attaching the cords per the directions, powering up the amplifier, and hanging the Leaf in the best spot for over the air reception. This antenna will give you crystal clear reception. Initial setup is as easy as screwing in a light bulb. 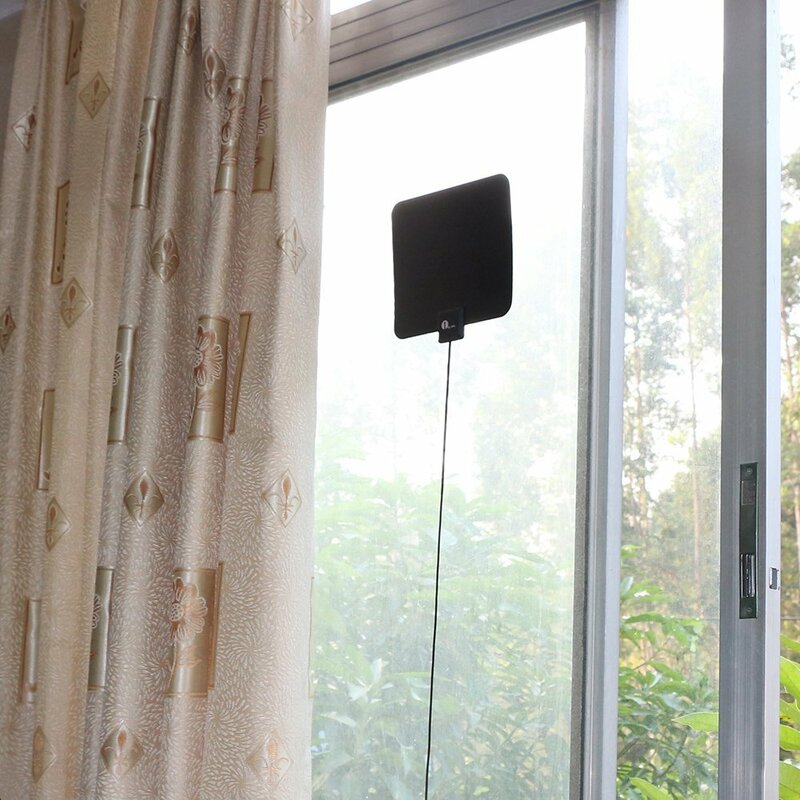 Installation is super simple with the 1byone indoor antenna. Just connect the coaxial cable to your TV. This indoor/outdoor antenna from 1byone is a great way to cut loose from your monthly cable bill or to get over the air signals for rooms that aren’t wired for cable. In the package are the flat panel antenna, mounting accessories, the power adapter, the power booster and a waterproof connection cover for outdoor installation. You will need a coax cable of the necessary length to hook up to your television. You can mount the antenna on a wall or on a pole. It’s lightweight, so it’s easy to mount or put up anywhere. The Mohu Sky 60 HDTV Antenna is nice and solid. This antenna is extremely light. This size antenna will fit comfortably between typical roof joist spacing in an attic or a crawl space. The mounting components are high quality and can be adjusted for any mounting configuration. This multi-directional antenna provides excellent quality HD television from signals approximately 60 miles away. The build quality and construction are top notch. This antenna is completely weatherproof. Lightweight and will not topple in high winds. All the needed hardware is included in the package and the instructions are well written. You can use this antenna inside or outside. The 1byone Omni-directional Outdoor Antenna is very easy to set up-no tools are required. This antenna comes with a quick and easy mounting bracket. Just mount the antenna and hand tighten with 2 wing nuts. The size of the antenna allows for many applications. It is much smaller than most antennas in this mile range. 1byone Omni-directional Outdoor Antenna can be mounted on a balcony, on the roof or in the attic. It comes with a power amplifier which will help to boost the signal for long distances. In some cases, the amp may over-modulate the signal if you are closer to the broadcast tower. You have the option to remove the amp, which will help with your signal quality and channel reception. With the 1byone 85 Miles Digital Amplified Antenna, you will get superior reception without the whole neighborhood noticing. This compact outdoor antenna is designed to maximize signal reception and integrate seamlessly into any home environment, indoors or out. It’s easy to install. Turn a few bolts and this antenna is ready to be mounted outdoors or in the attic. It’s a complete kit with a very strong mount. The DB8e Extreme Long Range Bowtie HDTV Antenna has a gain of 17.4 dB which makes it one powerful OTA antenna. This antenna comes with a special bracket that allows you to turn each panel toward different broadcast towers. This HD antenna is excellent for rural areas where heavy foliage or roofing materials can reduce your signal. 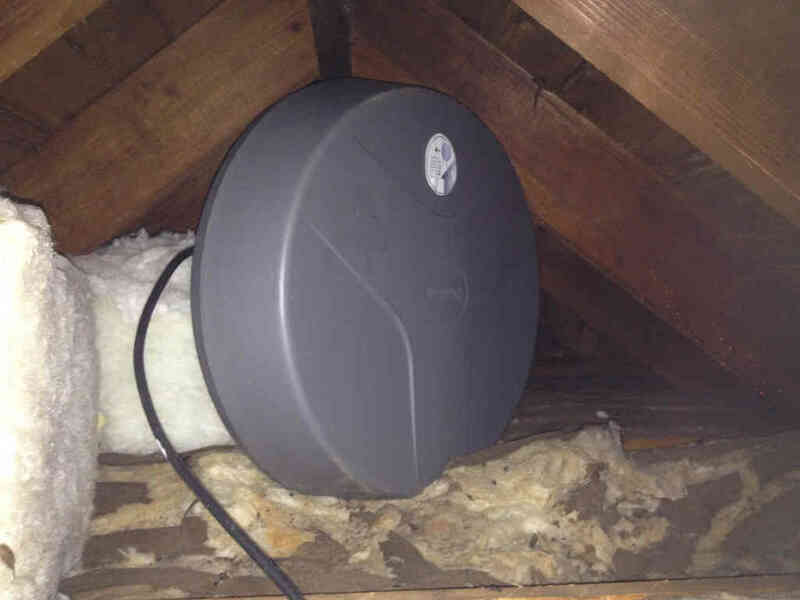 It works well in an attic or mounted on the roof. by Antennas Direct Antennas Direct, Inc. The Channel Master CM 3020 is a keeper and totally worth it. Get crystal clear free HD channels with this antenna. So well built, even on windy days it locks into all channels. It is very easy to install and has excellent reception. The antenna is all that Channel Master claims it to be. Well made with clear easy to follow directions and simple assembly. This antenna has a signal range of 100 miles and will pick up available local digital and HD signals. It is a little on the large size, but that is why it works so well. Long range rotating antennas are excellent for receiving channels from towers that are in different locations. They come with a motor and will rotate the antenna 360 degrees. Most are HDTV Yagi style antennas with a pre-amplifier. If you live far away from different broadcast towers, you can dial in your reception by rotating it in the right direction. These long-range antennas come with a wireless remote to control the motor. They work well in the attic or on the roof. Most antennas that you purchase will come with the mounting hardware. In some cases mounting to a pole, tripod or bracket system may be your best option. We have an article explaining different methods of mounting an OTA antenna. See the link below. Once you have you’re over the air antenna set up, you will need to scan your TV for the stations to show up. That option depending on your television should be in the menu options. Check your user manual for more information. Most TV’s also have an option to allow you to see your signal strength to fine-tune your antenna. You may have to move your antenna around a bit to get it in the ideal position to obtain all the channels you want. You can use the map you generated to point your antenna in the right direction. Now you can take it to another step and add a splitter to the one over the air antenna and distribute it to multiple televisions. You just take the output of the HD antenna and plug it into the input of a powered UHF splitter. Then plug each cable from the output of the splitter into your other televisions. In most cases, you can use the existing wiring in your home, left by the cable company. Check out our article on how to properly set up a antenna splitter. Are you still having trouble finding an HD antenna? If you are looking for more information on available channels and antenna options, then these websites can be very helpful. Channel Master has an excellent video explaining how to select an HD antenna for your home. These sites can help you select the proper HD antenna for your area. They all have helpful resources and locator tools. Just enter your address or zip code for results. Click on the logo below to get started. As you can see, you don’t need cable to watch free over the air TV. Armed with this know how you can now cancel your cable and enjoy saving money by watching free television. Nice tutorial. Been trying to do something like this for a while, but was very undecided about which antenna to choose. Your article has made it way easier for me, Thanks. As a suggestion, I would like to see an article soon on how to integrate an HDHomerun device to a setup like the one described here. I am glad you found it helpful. I will be adding more content soon. I will be sharing ways to watch internet TV. I will try and integrate an article about HDHomerun that allows you to stream live TV to your devices. Thank for stopping by and stay tune for more! Good Morning Tech Guy, We just moved to the Mountains of east Tn. We are trying to set up our antenna. We have put up a 30′ tower to help get our antenna as high as we can, we live in-between two ridges. How do we hook up two directional antennas together and boost the input? Hello, Setting up two antennas in line can be a bit tricky. It may take some tweaking to get it to work. You will need to plug in both of your antennas into a passive two way splitter first. Like this one: http://amzn.to/1Pq1IBb. Make sure that each cable length from each antenna are the same. This will help with phase and interference. Then come out of the splitter into your pre-amp then to your TV. You should try and aim each antenna at different broadcast towers. You could also consider using a rotating antenna. These antennas allow you to electronically rotate them and point your antenna in the right direction for better reception. Here is an example on one: http://amzn.to/1UMUgE8. You may also find that using one antenna may work out just fine. I would say try installing the first antenna and see what you get for channels, then add the second to see if you can gain anymore. The other possibility is that each antenna may cancel each other out. I am planning to experiment with this myself. There are a few channels that I would like to see if I can get to come in better with a second antenna. I will right an article of my findings. Hope this helps and good luck. This site is just for the USA, any for Britain? I have a 150 mile amplified UHF/VHF antenna. Live on a Ridge on a mountain antenna 30′ above house stations are less than 75 miles in 3 directions..still have weak signals..what can I add to this already amplified antenna to help? Also I can get the CBS chanels but not the ABC chanels from same city..why? Can not get any UHF chanels? You could try adding a motor to rotate the antenna in different directions. There are kits that allow you to do this. It may help in obtaining some of those stations. In some cases adding a signal amplifier will make your signal worse. Have you tried removing it? What kind of antenna do you have? How many tv’s can you hook up to an antenna? It mostly depends on the splitter. 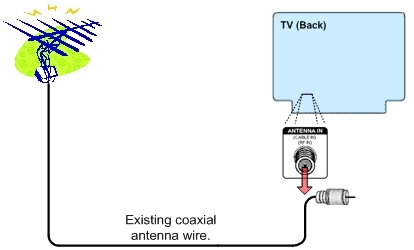 I have an article that explains how to setup and split one antenna to multiple TV’s: http://www.overtheairdigitaltv.com/how-to-split-an-over-the-air-antenna-signal-to-multiple-tvs/. Most splitters top out at 8 outputs. If you are planning to split many TV’s, look at using a powered splitter as apposed to a passive one. This will help boost the antenna signal to all your TV’s. Good luck! Hi, I am 75yr old senior woman. Son gave me Kodi and a keyboard. I want to get off cable. I live in valley and no one gets in area gets reception except thru cable and some insider connection to a satellite. I need to find someone to help me set up an antenna in my attic and teach me what I have to do. Know anyone in 12701 area for me? You could try Amazon Home Services and hire a handyman in your area. Just type in your zip code and fill out the description. Just explain that would need help installing an HD antenna for your home. Submit your request and you will be emailed quotes from handymen in your area. Here is the link to get you started: http://amzn.to/2oNeB6H. You can also head over to our Antenna Locator Tool page, type in your zip code and click the map it button. It will generate a color coded list of all the channels in your area. Then scroll down to see what type antenna you will need. Here is that link: http://www.overtheairdigitaltv.com/tv-station-locator-tool/. I did a quick search and looks like you will need a large roof top or attic antenna to obtain most of the broadcast stations. Good luck and I hope this helped.